U of T's 33rd Chancellor, the Honourable Michael H. Wilson, at Convocation in June 2018. Photo by Steve Frost. 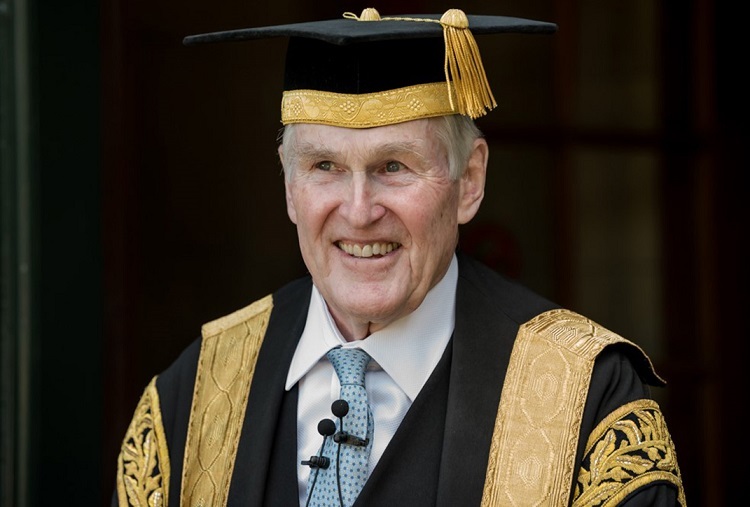 The University of Toronto community deeply mourns the loss of our Chancellor Emeritus, the Honourable Michael Wilson. A proud and accomplished Commerce alumnus and a Trinity grad, he was our tireless advocate and our global ambassador. “The University of Toronto community deeply mourns the loss of our Chancellor Emeritus, the Honourable Michael Wilson,” said U of T President Meric Gertler in a statement. “A proud and accomplished Commerce alumnus and a Trinity grad, he was our tireless advocate and our global ambassador. The University of Toronto flag will fly at half-mast on all three campuses until the day of Wilson’s funeral. Members of the U of T community can sign a Book of Condolence in the Simcoe Hall lobby during the week of February 11 to 15, starting at 1 p.m. on February 11.